Think vanilla is basic? These Vanilla Shakeology recipes prove that it is anything but. In fact, light and creamy Vanilla Shakeology is the most versatile Shakeology flavor. Vanilla Shakeology is made with real organic vanilla beans from Madagascar, and on its own, it tastes like a luscious vanilla milkshake (and who doesn’t want one of those?). But blend it with anything, from fresh fruit and nut butters to tea and spices, and it will take on and complement the flavors of the ingredients. Each of these Vanilla Shakeology recipes uses a few ingredients — and a little creativity — to make decadent smoothies that taste like orange creamsicles, minty candy canes, or gourmet salted caramel. Serious about your goals? At Beachbody, we know that combining healthy nutrition, convenient workouts, and personal support can dramatically improve your results. The Beachbody Challenge Pack delivers all three with a “daily dose of dense nutrition” in Shakeology, a full year of unlimited workouts on Beachbody On Demand, and a free Team Beachbody Coach who can help support and motivate you to stay on track. Set yourself up for success! Start here. 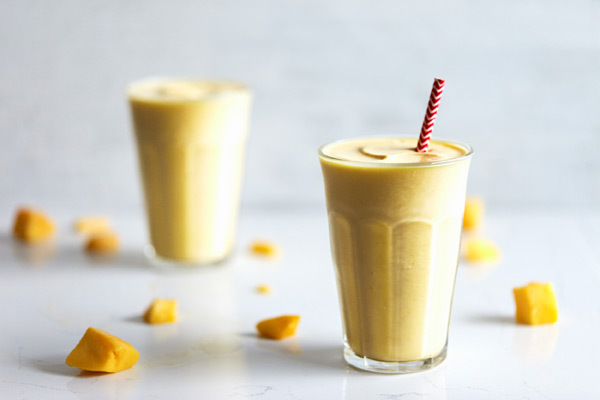 Tropical fruit and a hint of orange give this Pineapple Mango Smoothie a zesty fragrance and flavor that will wake you up in the morning or revive you from an afternoon slump. Craving a taste of summer? This sunny Peaches and Cream Shakeology made with frozen peaches and creamy Vanilla Shakeology is peachy keen. 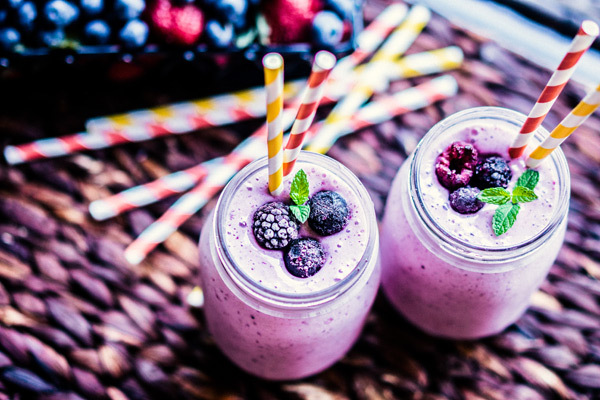 Mixed berries — we like blackberries, raspberries, and blueberries — give this Vanilla Berry Shakeology smoothie it’s vibrant violet hue and tangy zing. Daydream away to an island vacation with this tropical Piña Colada Shakeology featuring pineapple juice and pure coconut extract. If you get nostalgic over those classic orange popsicles with a vanilla ice cream center, then you’ll love this Orange Creamsicle Shakeology. Raise a glass of this festive, nonalcoholic Mango Margarita Shakeology and escape that foggy feeling the next morning. 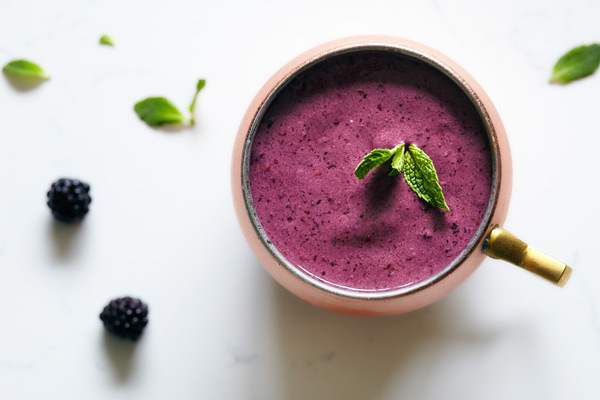 All you’ll need is a little bourbon extract (for authentic flavor without the tipsiness), blackberries, creamy Vanilla Shakeology, and a handful of mint. 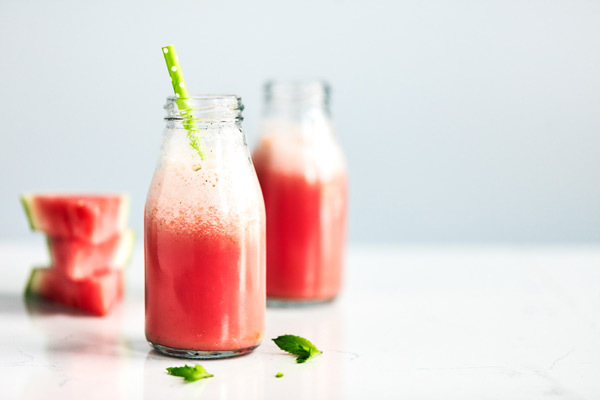 Beat the heat and stay cool with this refreshing Minty Watermelon Shakeology. This Greek Islander Shakeology smoothie’s vibrant color comes from pomegranate seeds and blackberries. And it’s got 35 grams of protein to satisfy any tummy rumblings! 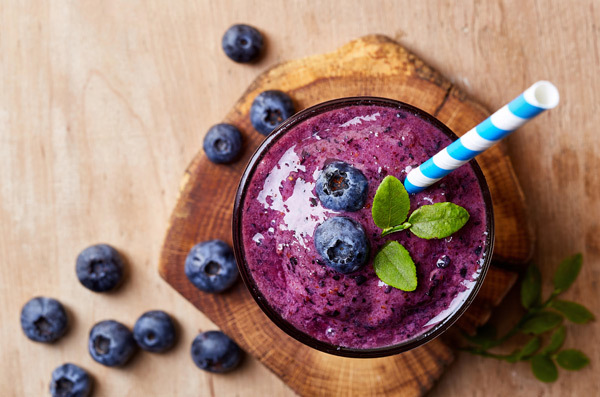 Vibrant and delicious, this Blueberry Basil Smoothie features a berry blast of flavor with a hint of sweet basil. If peanut butter cookies are your weakness then look to our Peanut Butter Cookie Shakeology to get your PB cookie fix. This Vanilla Shakeology recipe puts the flavor of decadent, nutty cookies into your smoothie so you can indulge without guilt. 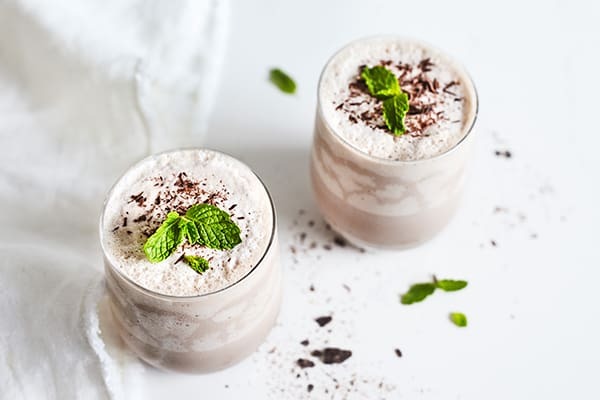 This decadent-tasting Vanilla Hazelnut Shakeology smoothie calls for hazelnut milk (or almond milk) and chopped hazelnuts, giving it a rich flavor and a velvety finish. 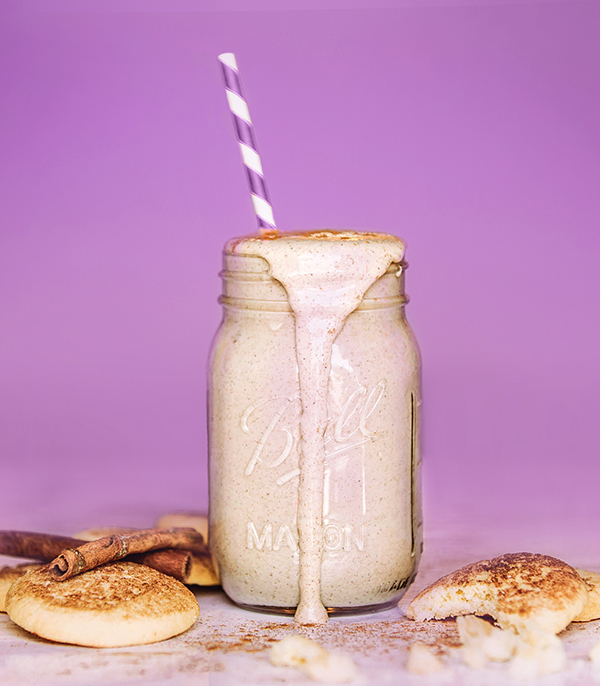 With this snickerdoodle-inspired Vanilla Shakeology recipe, we took everything we love about the delightful, buttery cookies, rolled in cinnamon, and made a healthy smoothie that we can drink without guilt. It may not be a snickerdoodle cookie but it sure tastes like one! 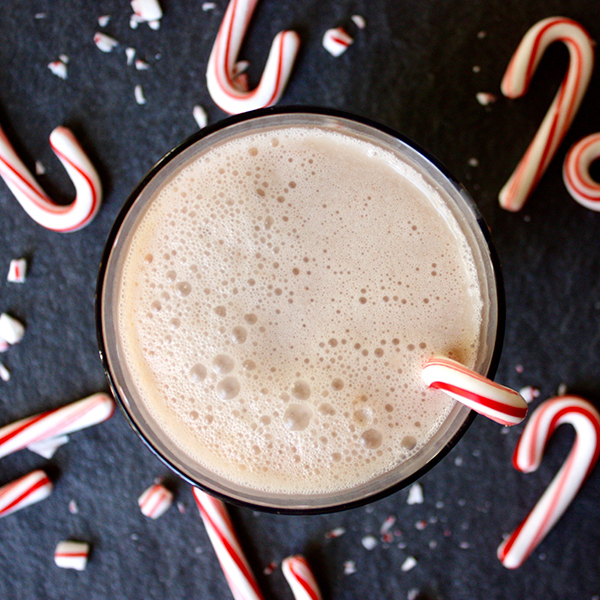 Peppermint lovers sing the praises of this delicious Peppermint Patty Shakeology smoothie. With 18 grams of protein, it’s a great way to start your day. Here’s another cookie-inspired Vanilla Shakeology recipe for the cookie monsters out there. We’ve used only the healthiest ingredients from an oatmeal raisin cookie to craft this tempting smoothie. You can stop dreaming of eating a piece of key lime pie and drink one instead! Our Key Lime Dream Shakeology features tart and tangy lime juice and fresh lime zest to create a smoothie that actually tastes like its namesake. 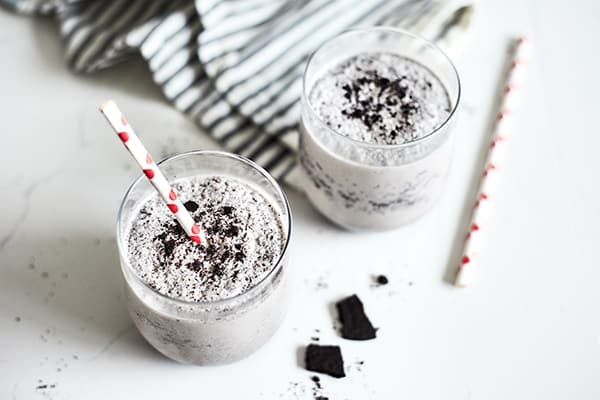 While this Cookies and Cream Smoothie doesn’t come double-stuffed, you can enjoy its creamy goodness without having to twist it in two. Our other two favorite fall flavors (the third is pumpkin spice, of course!) star in this Maple Pecan Shakeology smoothie. A hint of pure maple syrup imparts delicate maple flavor, and a sprinkling of pecans, with their distinctive richness, adds just the right amount of nuttiness. Have we mentioned that our cookie-inspired smoothies taste like the real thing? 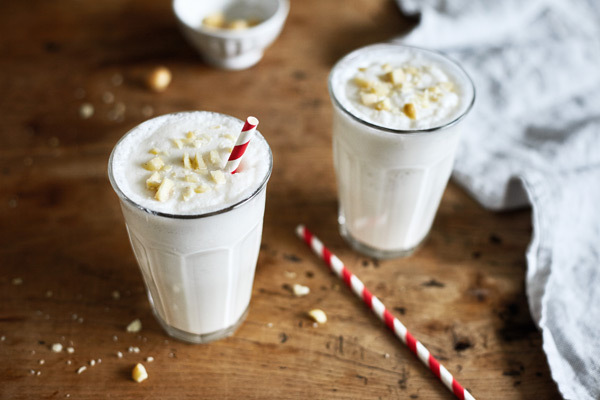 This White Chocolate Macadamia Nut Smoothie is as authentic as it gets. It’s worth it to find white chocolate extract, but vanilla extract works well, too. Who can resist something as wholesome as apple pie? Our Apple Pie Shakeology calls on unsweetened applesauce, a touch of cinnamon to recreate that classic flavor you know, and love. Transform creamy Vanilla Shakeology from basic (but delicious!) to bold with two simple ingredients. A teaspoon of caramel extract and a dash of sea salt make this simple, low-calorie smoothie taste like a gourmet salted caramel milkshake. This Lemon Bar Shakeology smoothie boasts real lemon juice, fragrant lemon zest, and a touch of vanilla extract, resulting in a perfect balance between tart and sweet. This pretty blended beverage looks a whole lot like strawberry green tea mochi ice cream. 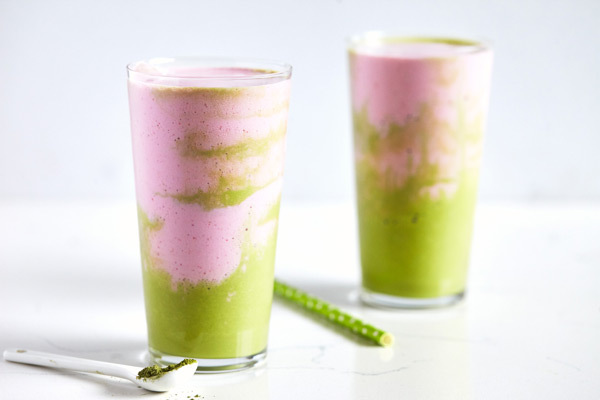 But because this Matcha Pink Drink Smoothie contains yummy Vanilla Shakeology, it also helps support healthy energy, reduce cravings, and support healthy digestion. To further enhance the flavor of chai tea, this Vanilla Chai Shakeology recipe adds a dash of fragrant allspice and a drizzle of honey for an aromatic iced blended drink you’ll want to make again and again. Traditional Latin American Horchata is best when it’s served ice cold on a hot day. 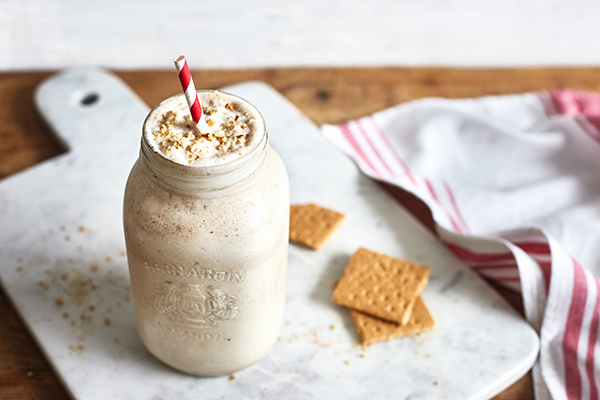 So naturally, it’s a delicious idea for an icy, cinnamon-y, Vanilla Shakeology recipe! 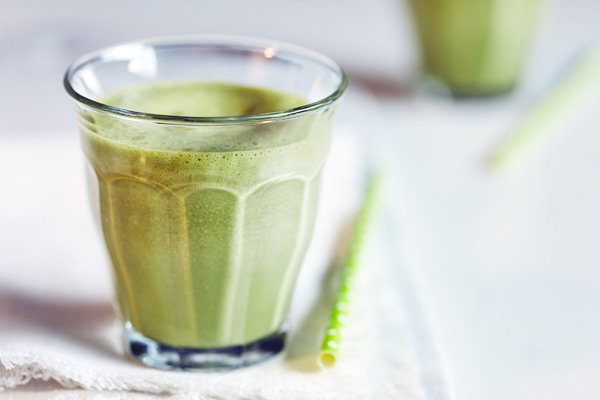 Harness the benefits of matcha green tea powder with a Matcha Latte Shakeology, a chic blended beverage that tastes just like green tea ice cream without the sugar crash. If you’re partial to the flavor of the classic citrus and tequila cocktail, then you’ll love our nonalcoholic Margarita Shakeology. 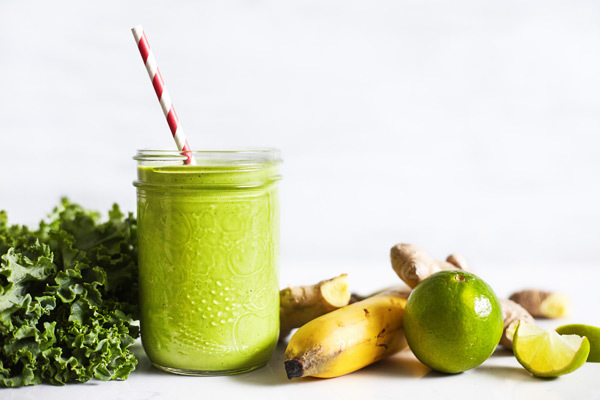 If you find it hard to eat your greens, this Fresh Start Smoothie will help you work in an extra serving without even noticing. 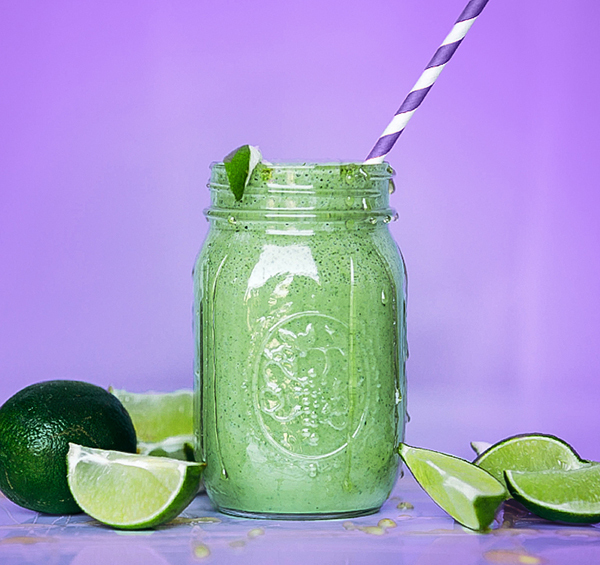 The rejuvenating flavor of cucumber and fresh lime juice in this Cucumber Agua Fresca smoothie will make you feel like you’re relaxing at a day spa. 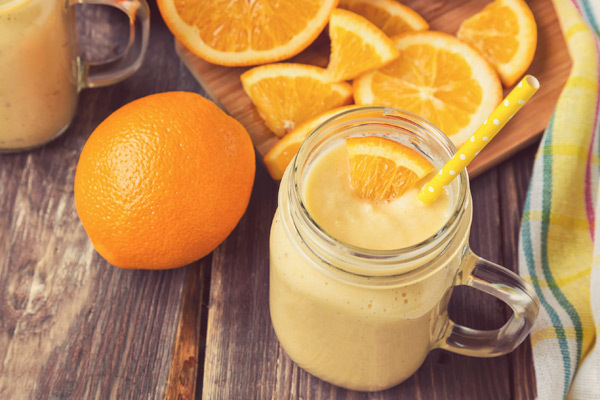 Enjoy the warming flavor of this Turmeric Smoothie before or after your workout! Great during chilly winter months. 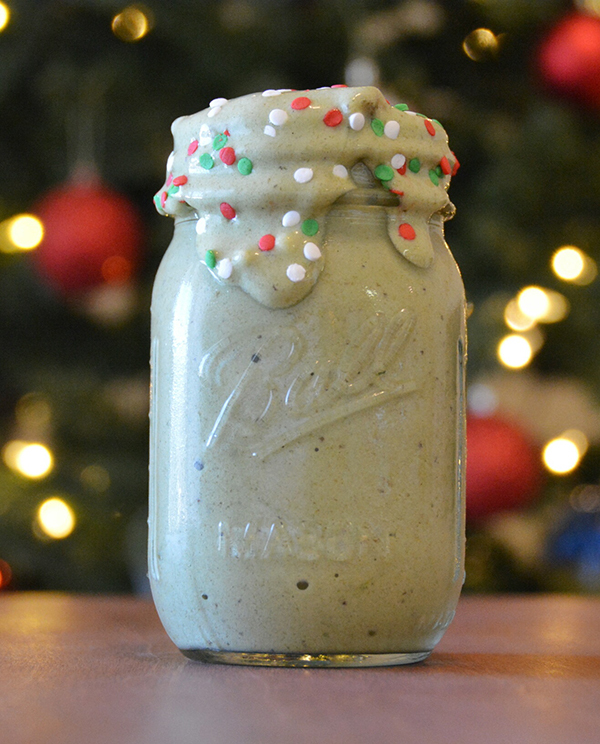 When we tasted this delightful, green Grinch Smoothie, originally created by Reese Woods, our hearts grew three sizes! Enjoy yours snuggled up by the fire, or as you’re rushing out the door to steal, we mean buy, presents for all of the good boys and girls in your life. With real pumpkin puree and a blend of holiday spices, this Pumpkin Pie Shakeology is an ideal morning after-Thanksgiving breakfast treat (so you can keep your hands off the leftover pie!). With only four ingredients in this Candy Cane smoothie, it doesn’t get much easier to whip up holiday cheer! Skip the sticky fingers, caramel cemented between your teeth, and potential emergency trip to the dentist, and make this Caramel Apple Shakeology recipe instead. 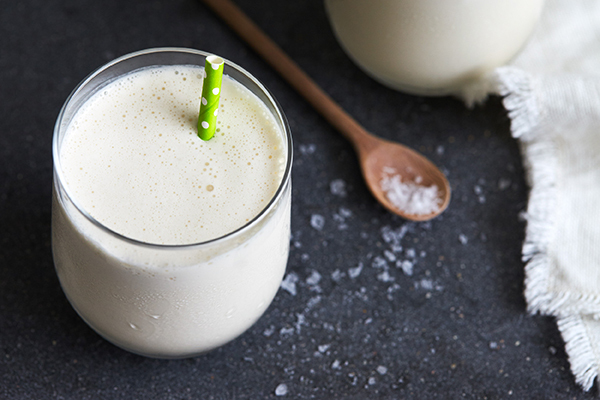 Get responsibly festive with this Vanilla Nog Shakeology. Rum extract and a dash of ground nutmeg give this smoothie a holiday kick. *All products, flavors, and configurations may not be available in your market.